Everything in digital is made up of three things: the message, the messenger and the format. Every bit of content you’ve ever seen or made had these three components. Your messages make up your conversion content (which sells) and your content marketing (which grows your audience) …or as Jay Baer puts it, your hype and your help. It’s usually you and your brand, but hopefully, you also include your clients (testimonials), your customers (reviews), outside experts (influencers) and your audience (fans, friends and advocates). Every message is text, images, audio or video. The format is the vehicle that carries it from the browser, through the eyes and ears and into the hearts and minds of your audience. Video marketing is effective because it carries so much information so quickly, because captures and holds attention so well. It is the next best thing to being in-person with your audience, sitting together in a quiet little conference room, sipping coffee. I take mine with sugar, no cream. Cream ruins that rich smokey flavor that makes coffee so good. Did you notice what just happened? A bit more information and suddenly things get real. That’s what video does. It adds that rich flavor. 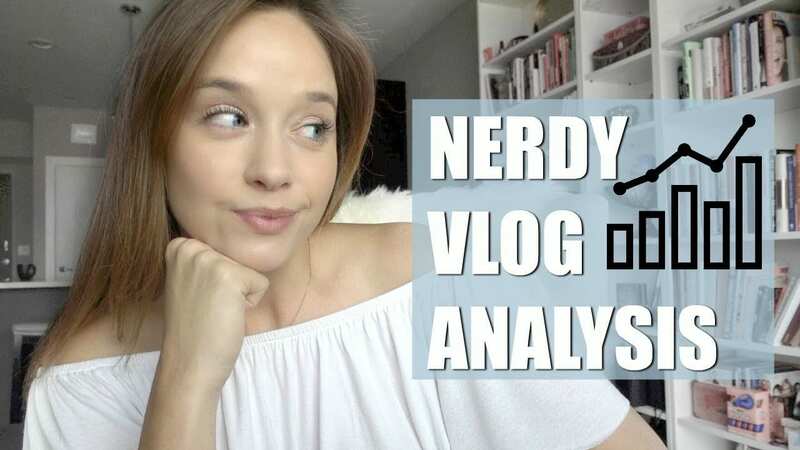 Where should I host my marketing videos? Where should I put them? And how can video marketing help my business? 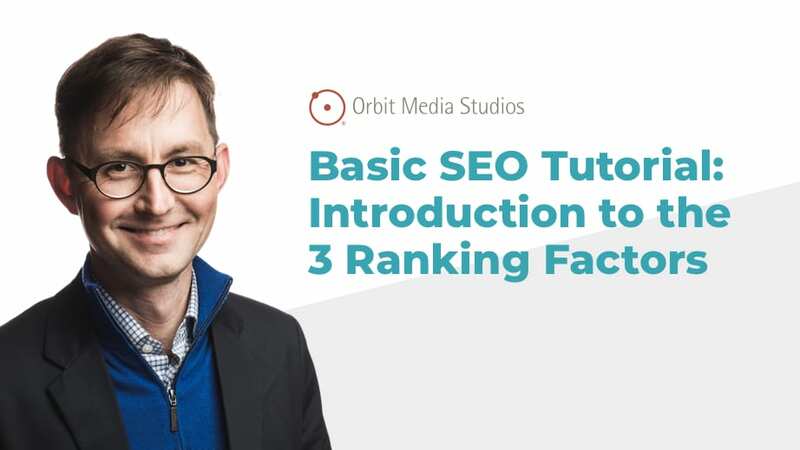 All the answers become clear once you realize there are really three kinds of marketing videos. They are viewed by people in different places in different stages of awareness. Let’s explore specifically how and why video marketing is effective by breaking them down. In the next few minutes, you’ll learn where to use marketing videos. Where to host, post and how to get the most! Way back in the day, when I was a young whippersnapper, we had to click on videos. Not any more. Social networks want us all to post videos because they keep people engaged with their social streams. So they don’t wait for us to click. The videos just play. The moment they did this, social streams got much noisier and more competitive. If you make social media videos, you’ll have a big advantage to win attention, views, awareness, engagement and clicks. The flip side: every non-video post is at a big disadvantage. LinkedIn, Twitter, Facebook or Instagram. They’re hosted right in that social network. Shoot them on your phone directly in the social media app or pre-record them and uploaded from your laptop. They’re posted to your stream. But if you’re serious about promoting them, get the link to that social media post and share it with a few friends via email, private slack channel, chat, company intranet, etc. 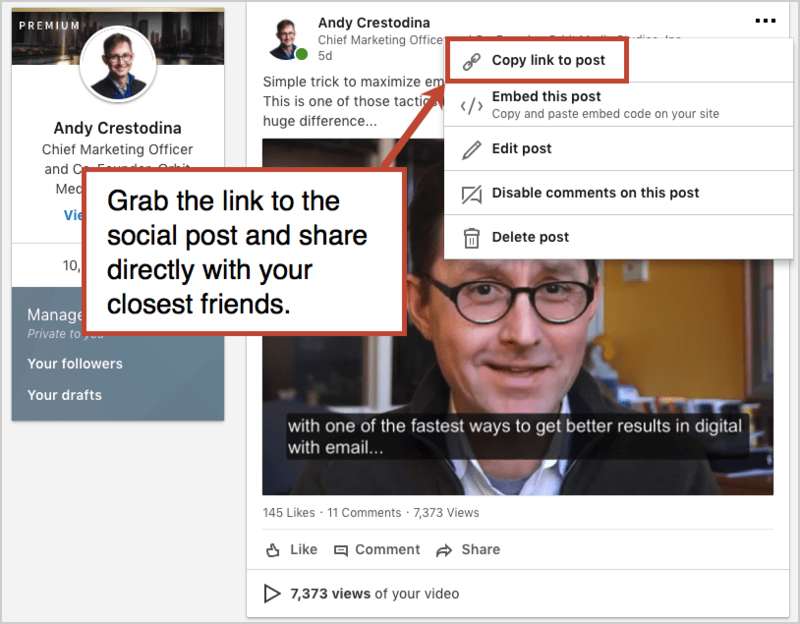 Do this right after posting the video and if those friends interact with it quickly (like, comment, share) it triggers the algorithm, convincing the social network that it’s an engaging post. This makes it more likely to appear in more people’s social streams. Want to see one in the wild? Here’s one I made for LinkedIn. You can see what I included and what kind of engagement it’s been getting. Captions are the key. The video plays as they scroll past with no audio. Your goal is to slow them down and turn on the sound. Your followers aren’t lip readers so the captions are important. Here’s how we use Camtasia to add captions. Finally, here’s our complete guide on making social media videos. It explains everything. “A fun and effective way to stand out on Twitter is video. It’s simple and the aftermath is powerful. By using your smartphone and the Twitter app, you can send out short, personalized videos to people. They can be thank you’s or introductions, say hello or ask a question. It’s a fun way to surprise and delight the person on the other end of your tweet. If you spend a few extra moments replying to tweets with a personalized video, you will stand out, you’ll be memorable and you’ll see your engagement grow. What’s a content marketing video? 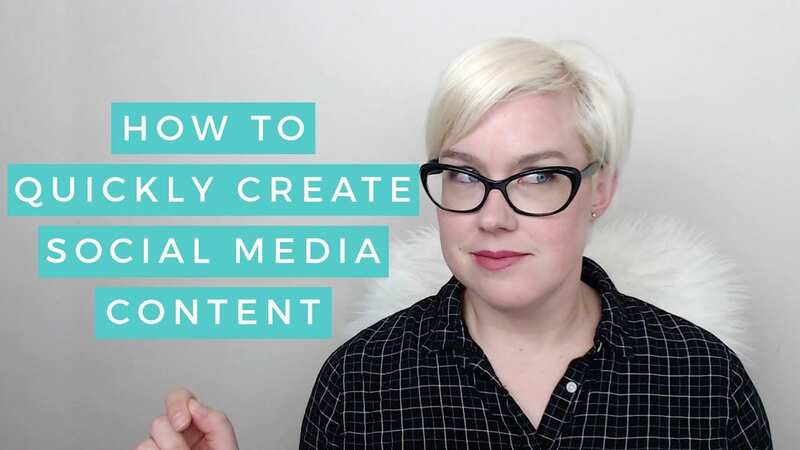 Just like any other content marketing, it’s that helpful stuff that gives your audience value in exchange for their attention, but in the ultra-compelling format of video. Your audience doesn’t search for, share or subscribe to ads. But they do those things for useful videos every day. So content marketing videos drive results in search, social and email marketing. The purpose is brand awareness through views and visits, followers and subscribers. They help your business by positioning you as a credible expert. Of course, not everything in life needs to be search optimized. Regardless of how they found it, these videos can also win subscribers. Set up your YouTube channel and you’ll give viewers the opportunity to click that red ‘subscribe’ button and get the next video you post. But there are downsides to YouTube. It looks cheap, ads show up and the viewer can easily sneak away by clicking the YouTube bug in the corner. And you can’t stop the YouTube player from suggesting other videos when your video ends. If you’re not worried about search and you’d like to have your videos gather email addresses directly, try Wistia. It’s prettier and it lets viewers subscribe right there in the player. Once it’s on YouTube (or Wistia) embed it into an article or blog post on your site. Now you can promote the URL with the embedded video. Share it, send it, tell the world. Avoid sending your audience directly to YouTube at all costs. YouTube is filled with ads, competitors, notifications and distractions. As a general rule, never send your audience to a website with 2.6 billion cat videos. Just scan through the channels of the top YouTubers and you’ll see how much loving care they put into their thumbnails. Why? 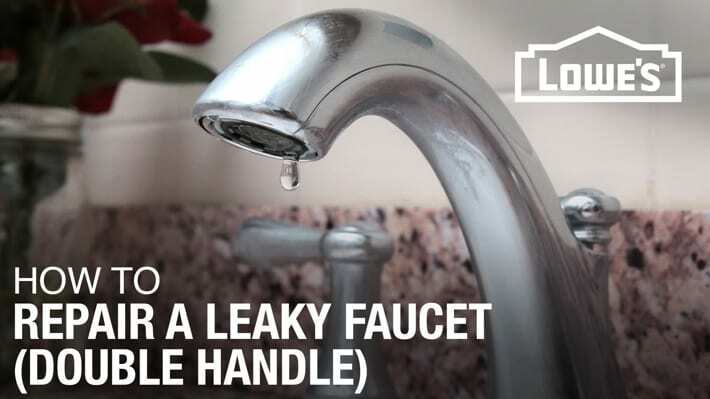 It has a huge impact on click through rates. YouTube is actually a great source of topic ideas to content marketers. It’s possible that people are already searching for your brand or your business category there. Use KeywordTool.io to see what phrases YouTube is suggesting. Click on the YouTube tab and search for your brand, your product or your service. It’s possible that people are already looking for you on YouTube, but you don’t rank. Other videos and channels are ranking for your phrases. Why let them win all the viewers? Post your own videos on these topics! 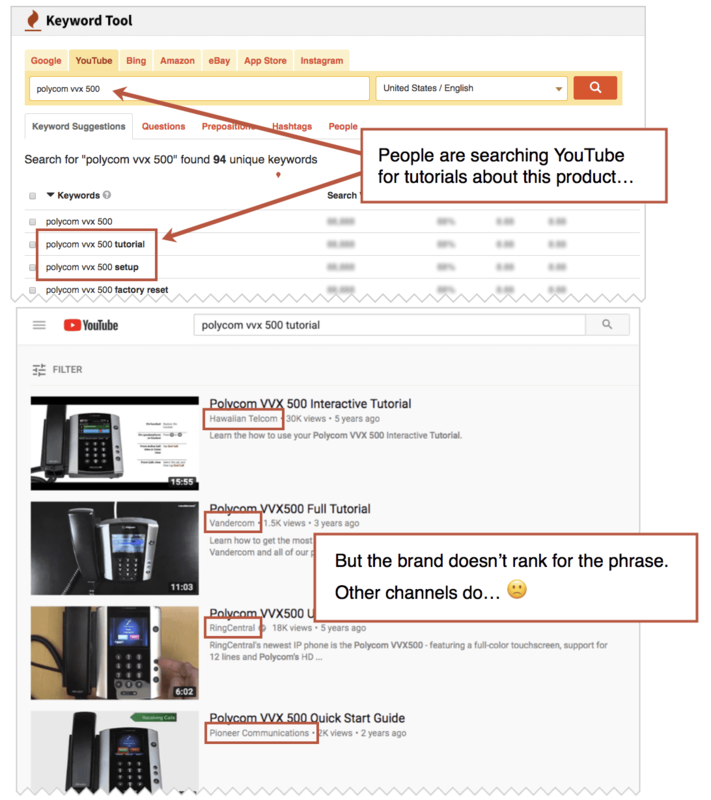 Here’s a short guide for finding all everything people search for when they search for your brand. It’s a goldmine for marketers. 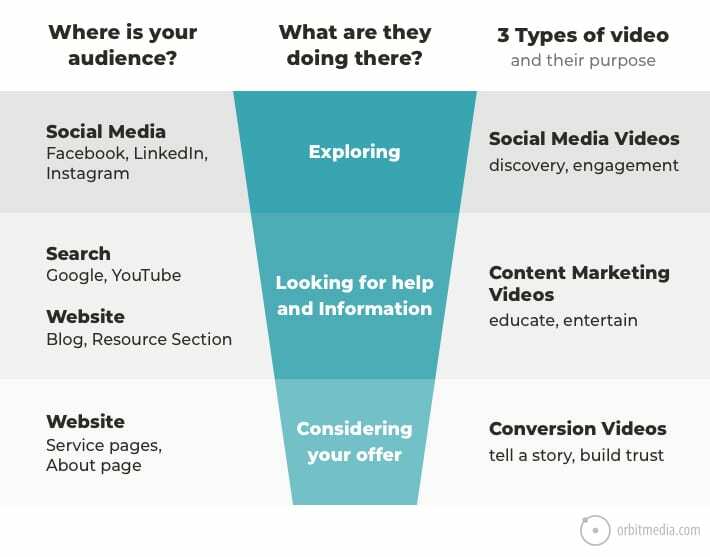 The third type of marketing video works its magic farther down the funnel, where it has a more direct impact on lead generation, demand and sales. Conversion videos maximize the percentage of visitors who take action. They do this by telling the brand’s story, delivering sales messages, demonstrating expertise and building trust. Here’s where production quality can make a big difference so work with an expert. Costs for professional video production can range from $1k to $50k. 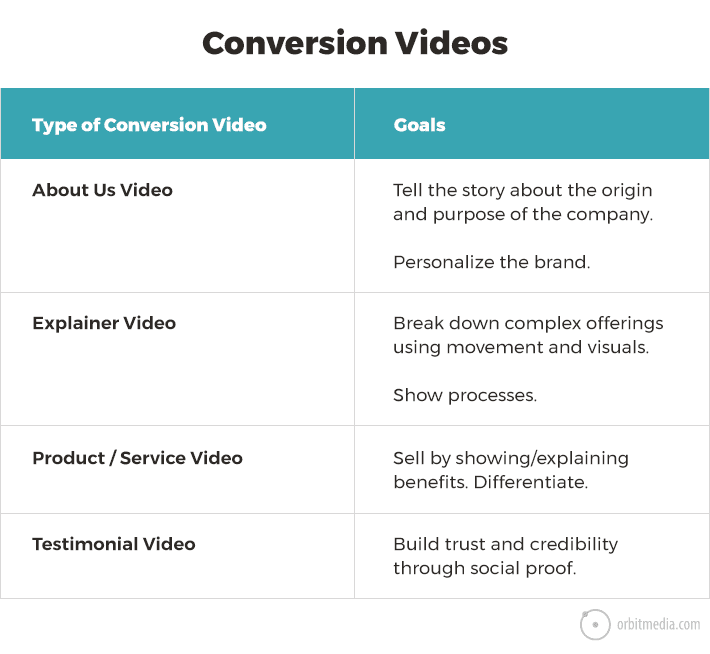 Expect a range of $5k to $7k for a well-produced conversion-focused video. Here’s an excellent guide to video production costs. When you’re ready to big, our friends at Richter Studios offer full digital cinema. Check it out. We do not recommend YouTube for conversion videos. These are about trust, not traffic. Invest in a paid hosting and streaming service: Vimeo, Viddler, Brightcove or Wistia. You can customize these players to match the colors of your brand. They don’t have that YouTube logo in the corner. You’ll still get all the reports. It’s worth the $20-100 per month. To get the maximum visibility on these strong assets (and the most from your investment) put these videos high up on your most popular pages: Home, About and any other page that gets a lot of visits. Which are your top pages? You might be surprised. The answer is in your Analytics > Site Content > All Pages report. Here I’ve switched that report to the bar chart view to show just how much more popular some pages are than others. Also, put them in context. Put the explainer video on the page about that offer. Put the video testimonial on the page about that service. Put the product demo on that product page. Put your story on the about page. But put any / all of them on your most popular pages. There’s no harm in putting the same video in several places. Here’s a great example of a conversion video that tells the story, makes the brand human and explains the benefits. It combines assets that already existed (provided by the manufacturer) with new footage from the business. Well done, Chicago Luxury Beds! It’s the closest you’ll ever get to being in the room with the visitor, talking to them in person. It’s the most intimate format, the easiest to consume, the hardest to look away from. Video sells when the sales team isn’t there. 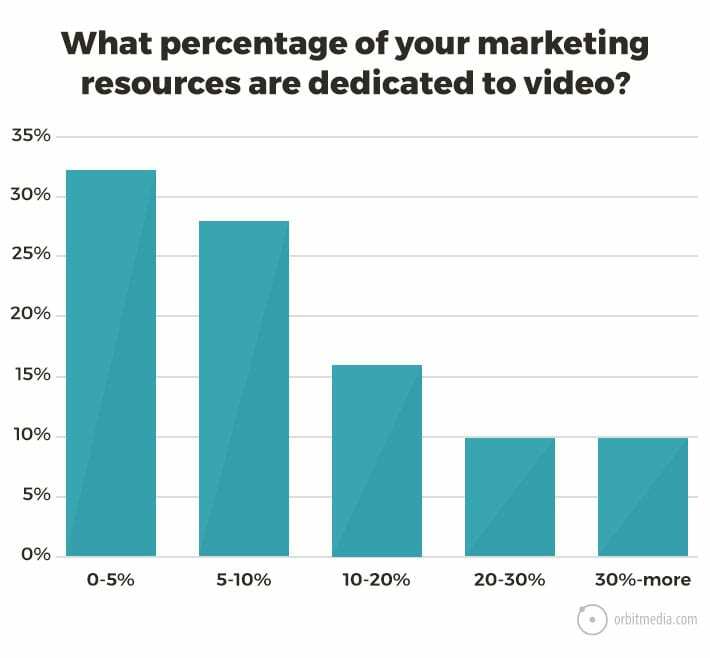 But unfortunately, the latest state of video marketing study shows just how little brands are investing in video. A third of all surveyed brands dedicate 5% or less of their resources to video. Maybe it’s time. If you haven’t yet, record from your phone and post. Record from your webcam and teach. Hire a pro and tell your story with motion. How are you using video in your marketing? We’d love to hear in the comments below. JetPack will host unlimited videos for $9 mo. Great article …I went to share and your share links are not working. Andy, I take a simpler approach that’s been very successful in the local business sector. 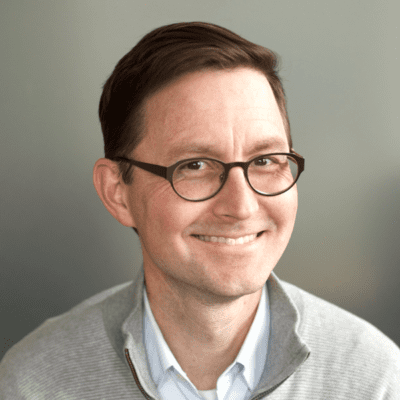 Some years ago, I watched Phil Nottingham’s video marketing presentation at MozCon and it’s guided how I use video for my clients. Phil suggested creating Home videos to answer your customer’s questions and provide the information they’re seeking online, and Hero videos to showcase your business. The Hero videos are story-boarded, have lots of B-roll recorded, and require multiple takes. The Home videos are one or two takes with the business owner answering FAQs — one question per video. The Home videos are much cheaper and easier to make so we make more of them. Some of my clients have between 150 and 200 videos, and these are all small businesses. My clients and I use them on social media, and we create video blog posts. It’s worked very well over the years and I expect Google will reward the strategy in 2019. I host all my website videos on Vimeo with copies on YouTube and Facebook. I appreciate your detailed article and I’m sure it works well for your clients. Such strategies are always winning, thanks for sharing your information. I really like the marketing strategies of this site, because here everything is selected with taste. The work of high-level web designers and promotion strategies also work well. Now I want to take my project and try which model of promotion will be better. . But there are a lot of cool shows in Las Vegas that are worth a visit. If you are still not sure whether to buy tickets or not, then read the reviews about https://best-vegas.com/cirque-du-soleil/ka-by-cirque-du-soleil-show/ Cirque Du Soleil to decide. I am sure that this show will appeal not only to adults, but also to children.